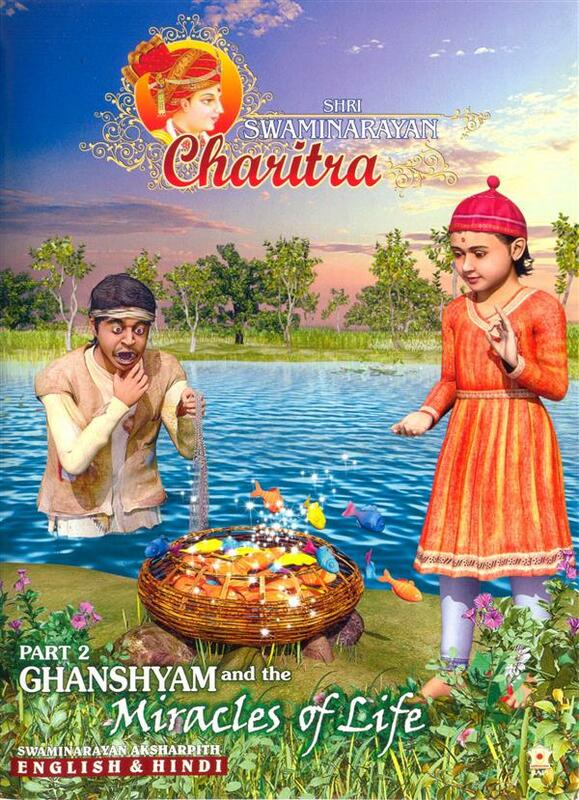 This is the second part of the animation film series on the life of Bhagwan Swaminarayan. We visit the young child Ghanshyam in Chhpiya, where he is playing with his friends Madhav, Veni and Prag. We see how fish magically come to life when Ghanshyam takes pity on those caught in the fisherman’s net. The fisherman gets the fright of his life and promises to give up violence. Dharmadev sends Ghanshyam to tend the fields, where he miraculously sends the sparrows into a trance. Ghanshyam and his friends pick some delicious mangoes from the orchard and also teach greedy Ramdutt a lesson when he tries to take the mangoes away. But Ghanshyam’s gaze is towards the West where devotees await his arrival. His miracles have inspired everyone in the village of Chhapiya, and he now moves to Ayodhya where his life itself will also be a source of inspiration for all.